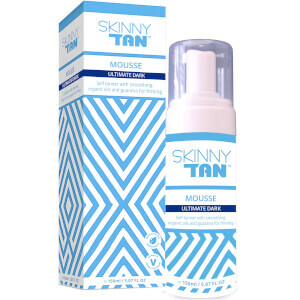 Achieve a flawless, streak-free tan with the SKINNY TAN Mousse in Ultimate Dark; a convenient tanning foam that delivers long-lasting results. 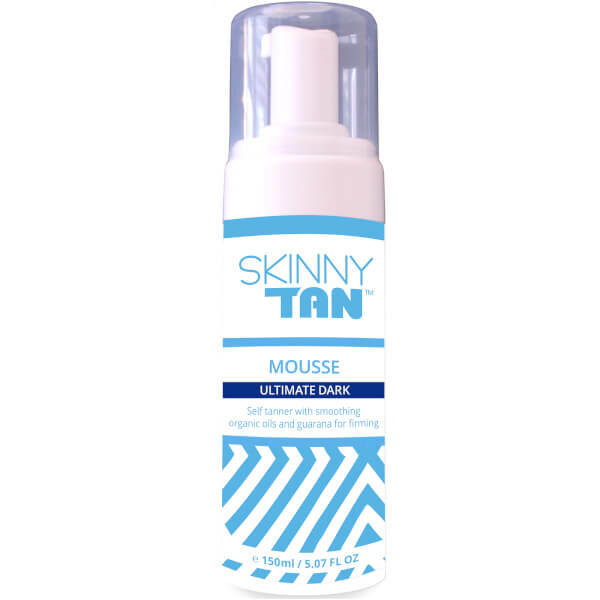 Working on both the face and body, the fluffy formula guarantees an enviable ultra-deep tan, without an unwanted orange-hued finish. 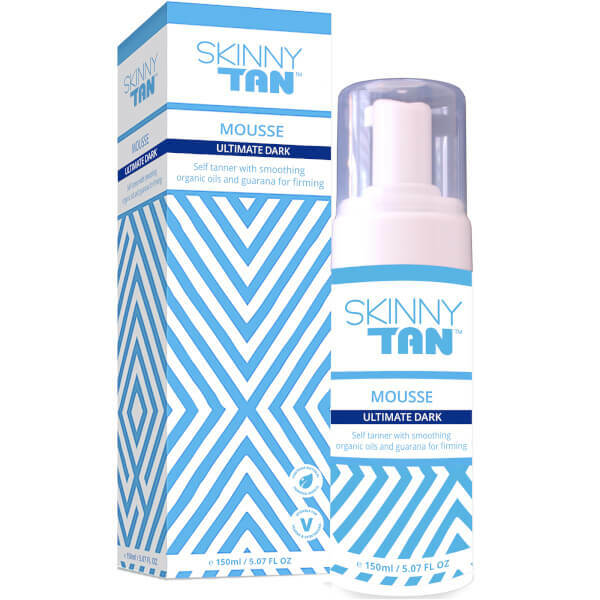 Start by adding a small pump of tanner either directly onto the skin and working into the roller or mitt as you go, or by applying directly to the roller or mitt before applying to your skin. Makes sure all the skin you want to tan has now been bronzed.